Best possible location for all The Flatheads attractions and amenities. 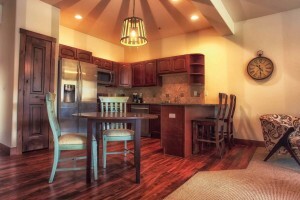 Well-appointed log cabins; indoor games room, outdoor activities for every age and interest. Local villages. 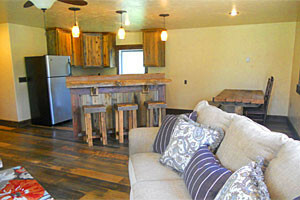 Our ranch, with B&B rooms, specializes in Cattle Drives, Horseback Adventure Vacations and comfortable lodging. Just minutes from Glacier Park's backcountry and trails. 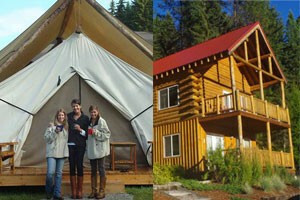 On 10 secluded acres, this 5-bedroom B&B is the ideal location from which to explore Flathead and Glacier. A Frommer's 'Star Find'. Luxury and elegance await guests at this bed/breakfast furnished with 1920's antiques and decor located near Glacier Park, Big Mountain skiing and downtown Whitefish. From our spectacular riverrock fireplace & log timbers, to our uniquely appointed lodge rooms, you'll find comfort and delicious food waiting for you. A Wilderness Experience with all the comforts of a Bed and Breakfast. Savor a unique, upscale camping getaway with everything you need to relax and enjoy outdoor beauty. Just because it's the way less traveled doesn't mean there's nothing to do. Raft, kayak, ski, snowshoe, or just take a load off. Flavor of the frontier in these genuine log construction accommodations, with opportunities for Trophy Tours and horseback rides, all in the gorgeous Mission Mountain foothills.